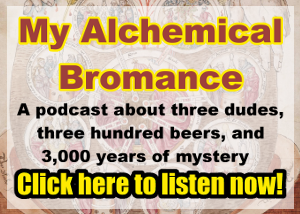 Arnemancy : Who Was Hermes Trismegistus? Hermes Trismegistus is a composite of several mythological figures. He arose in Ptolemaic Alexandria, where the mishmash of Hellenistic and Egyptian culture bred dozens of interesting cults, religions, and deities. Early on, the Hellenistic deity Hermes became associated with the Egyptian deity Thoth.1 Both were inventors of writing and gods of magic. Both were also psychopomps, responsible for guiding souls in the afterlife. As a result, over the centuries they became identified with each other and were even worshiped together in certain Egyptian temples. In fact, Khmun, the Egyptian center for the cult of Thoth, became known as Hermopolis under the Ptolemies. Because of this, Hermes Trismegistus, as a legendary teacher of magic and mysticism, was probably a humanized syncretization of Hermes and Thoth. His legacy has been immense. Is it not true that my grandfather Hermes, after whom I am named, resides in his eponymous town whence he aids and cures all those who come to him from every land? It is clear that the legendary figure of Hermes Trismegistus has served many purposes. Perhaps, like other legendary personalities, his real meaning is to be determined by each of us individually. As Hermeticism focuses on the experience of gnosis, it could be that Hermes Trismegistus himself is a concept that needs to be personally experienced to be fully understood. Did you like this article? My patrons receive new articles five days early. Support my work on Patreon!